Patrick ,what is the crop,they are living in ,we don't know it,I'm curious I don't think I've seen this grown in the uk. Maybe I have but I certainly can't place it tonight. Hey Patrick,sorry I'm so slow getting to you,I'm still rushing now.Thanks on the crop note,I'll look into that but it's a great shout !! Patrick,we are having the same problem with crops getting high ,but I'm fortunate that some spots are still low enough for me to have some fun. the late spring had an adverse effect on cover here which I feel has left the early bron leverets very vunerable to predation. anyway yesterday We staked out a cracking little spot and had a fantastic time, essentially made fantstic by one tiny little thing whom was a bit jumpy but an absolute star. I saw your link (thankyou) on eye colour ,earlier that day and glanced at it ,I'll go back and study shortly. Ironically, my new little mate met an adult and I grabbed a couple of frames with both in . 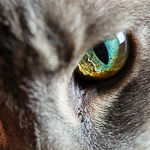 Sadly I didn't have enough DOF to get both in focus,but one can clearly see both sets of eyes. While I completely defer to the Mammal Society of the UK,the above about eyes getting lighter with age is certainly not always applicable,leastways not on my patch. It's really cool to have both sets of eyes in the same image ,as you will be able to see the colour of the eyes,without having to worry about the effects of post, I'll share shortly Patrick ,I just wanted to pop a quick reply up ,while I have a few moments. Patrick,this is very poor quality,please forgive,I hope you can see from this,unprocessed SOOC image what i'm talking about (i've just cropped it and converted.) 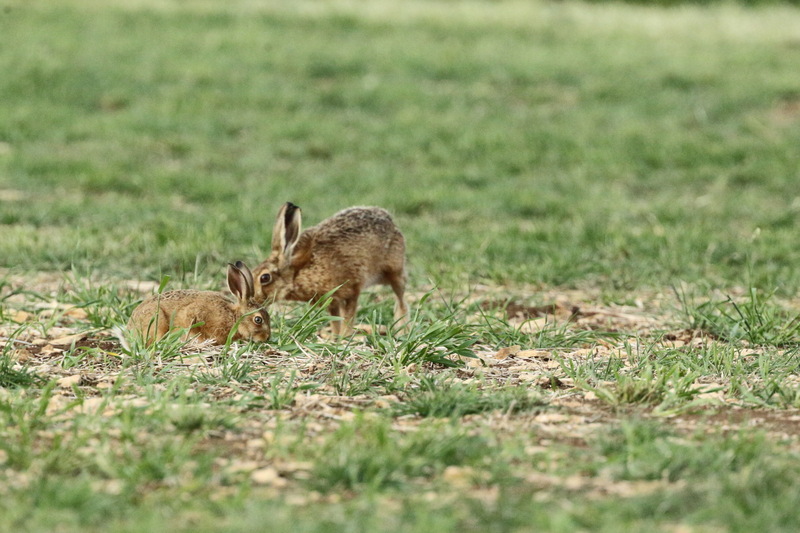 The young hare's eye's are much lighter than the older. We half suspect we are aware of a parent of this little chap,that is if my musings regarding eye colour are in anyway linked to genetics. 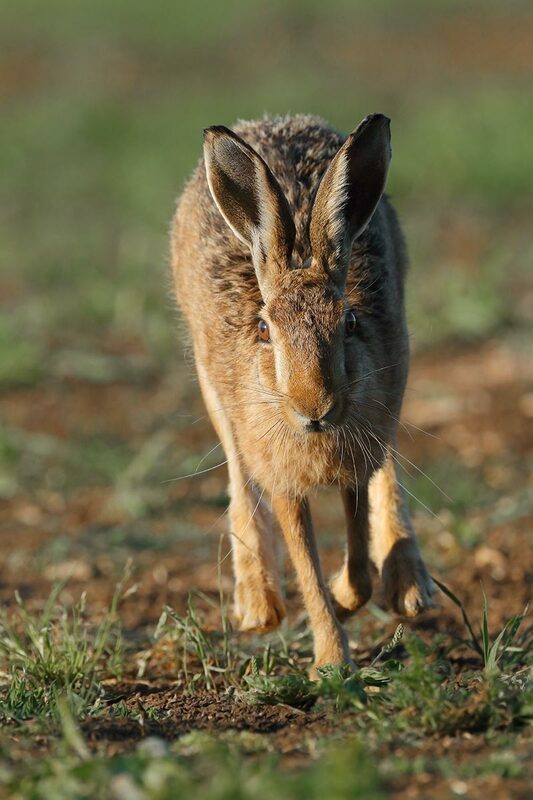 These are the last hare photo's in my collection, hope I'll see some more soon. Guess what, the crop is flowering and (at least from a distance while driving the car) it looks like poppies! Didn't expect that here but the seeds are used for example on/in bread. Ha ha mate the little guy on the track is a lovely image. It's mad here,no time but very much aquiring images. Here is something hopefully a little bit nicer of that cute little leveret. We ha a really good weekend he's the first leveret I've made images of this year. i'll try and get some more up regarding the eye colour shortly,but for now here's a cutie..
That certainly is cute. Here also too little time but sadly no pictures. Went yesterday morning (with wife&dog ) but no hares. Crop definitive poppies, will post evidence shortly. I couldn't get a clean shot last time I tried to get a good Cottontail photo, pine tree branches were blocking and I waited at least an hour for a nice clean shot before it ran away. Still trying to get a good Jack Rabbit also, they are very skittish around here, even more so now that a few Hawks are hanging around. What's you name mate, please forgive if I've asked before, i'm not the sharpest tool in the box at the moment. Mate could I ask for your name please? Phoenixh, . . . Most user's names are listed right in their signature at the bottom of each post. . Just like yours! A few user's names are clearly visible right under their linked images. . Wayne would be one example of this here in this thread of yours. . Eric is another example of this. . "by Wayne Baker, on Flickr" and "by Eric on Flickr", etc. I'm just saying, that a lot of the times when you have asked for someone's name, it's already right there in plain sight right at the bottom of their post, the same way yours is. . You just need to spend a half moment to look for it. 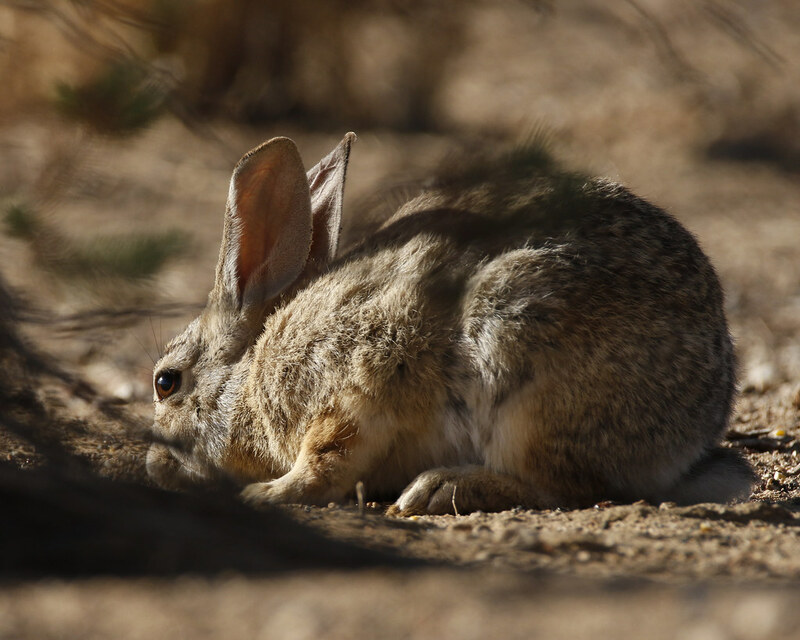 I see the Jackrabbits in the heavy brush around here in the early morning and late evenings, they can hide really easily and if I get too close they like to run real fast. The rattlesnakes come out in the evening also so I have to be careful moving around in the brush. My niece surprised a rattlesnake once and her dog luckily jumped between her and the snake to protect her, the dog took two bites to the face. Thankfully the dog lived after getting treated at the Vet. Hey Tom, yes I'm missing alot of things at this time buddy,thanks for the heads up. i'll try and be more aware,my apologies. I'm pushing myself too hard at the moment, Tom but no excuses just a big "thanks mate" for helping me along. . It has to be said I am a scatter brain Tom !! My apologies Wayne,maybe with tom's help I might do better with names in the future. Living on a little island with only one venomous snake,I tend to forget some of the hazards you guys across the pond have to be aware of,like rattlesnakes for example. Cheers for the little tale,I'm so glad the dog made it after being bitten. 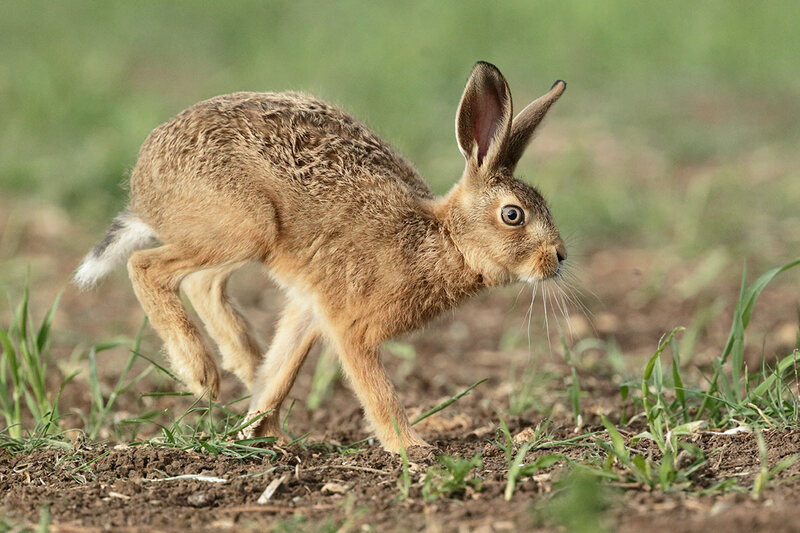 My whole approach is really based on my being insignificant,while stalking hares. Simply put that means me on the floor as low and small as possible,not something particularly safe to do where there are rattlesnakes,i'm at a loss as to how I would Tackle your situation. 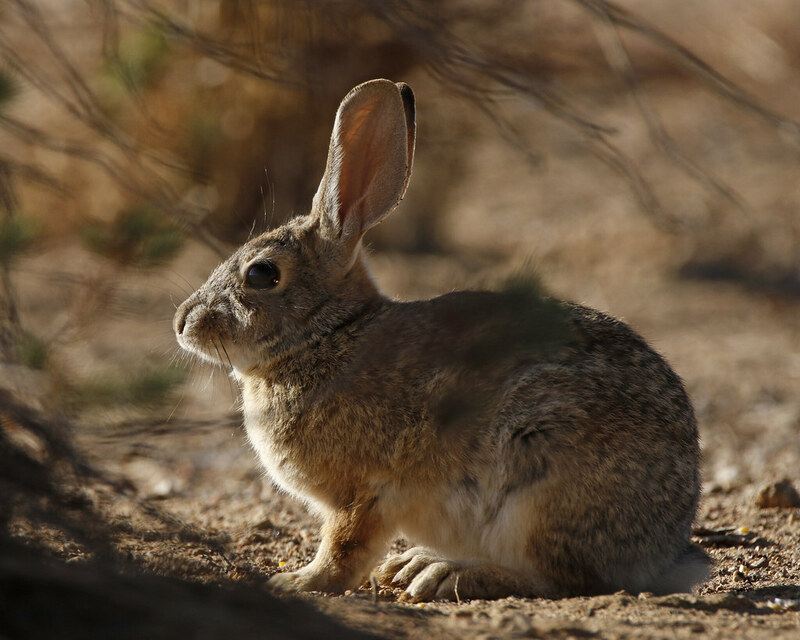 My whole approach is really based on my being insignificant, while stalking hares. Simply put that means me on the floor as low and small as possible, not something particularly safe to do where there are rattlesnakes, I'm at a loss as to how I would tackle your situation. I, too, get down as low as possible for most of my wildlife and bird photography. . And there are scads of rattlers here. . But it really isn't dangerous. Rattlesnakes actually aren't very aggressive; I've found that they will endure a lot of harassment before they strike. . Of course there are exceptions, but in general they don't want to bite you; they prefer to just get away quietly without any trouble. . I lay down flat on the ground right here in rattlesnake country, without any fear of getting bitten. . If there is a rattlesnake on the ground near me, they either just slither away when I first approach the area, or, if I surprise one, it will rattle, alerting me of its presence. We also have a lot of Bull Snakes, and they are quite aggressive compared to the rattlers. . However, they are not poisonous, so even if one gets bitten there isn't much danger if one properly disinfects the wound in a timely fashion. . I've never even been bitten by a Bull Snake, despite many encounters. 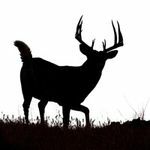 Even though a lot of seemingly dangerous animals roam around here, there really isn't much likelihood of any of them hurting you, except mosquitoes and ticks. . Yeah, it could happen, but it very rarely does. . Critters generally want to get away from people.